It was little one’s third birthday last week and I can honestly say I don’t know where the last three years have gone. On the one hand it feels like only yesterday since she arrived, six days early, and yet I struggle to remember a time that she hasn’t been a part of our lives. We celebrated with family days out, presents, lots of chocolate, and a party; surely perfect for any three year old. She had the most amazing week and constantly gave me reasons to be so, so proud of her! 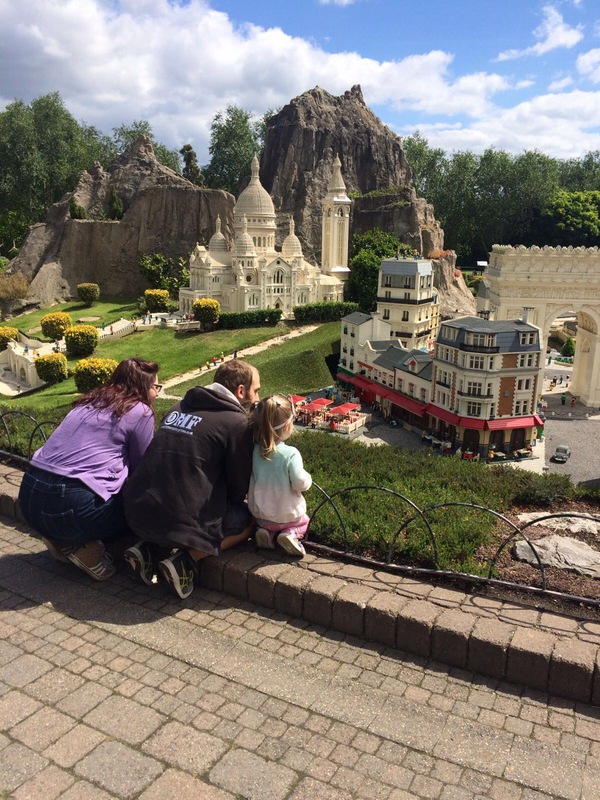 A couple of days before the big day we went to LEGOLAND Windsor which was a brilliant day out for the whole family. It was the first time we had taken little one anywhere like this and she loved it! There was plenty of things for a toddler to do, including shows to watch, rides to go on, and Lego to play with. I was pretty impressed with the pricing of the souvenirs too, which was really reasonable. 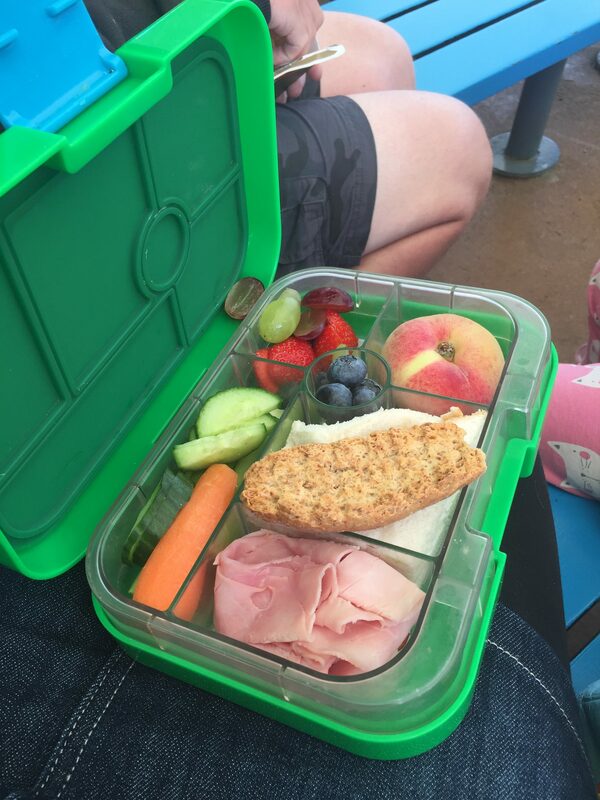 We didn’t risk buying food there, so brought along our trusty Yumbox, filled with lots of yummy goodies! 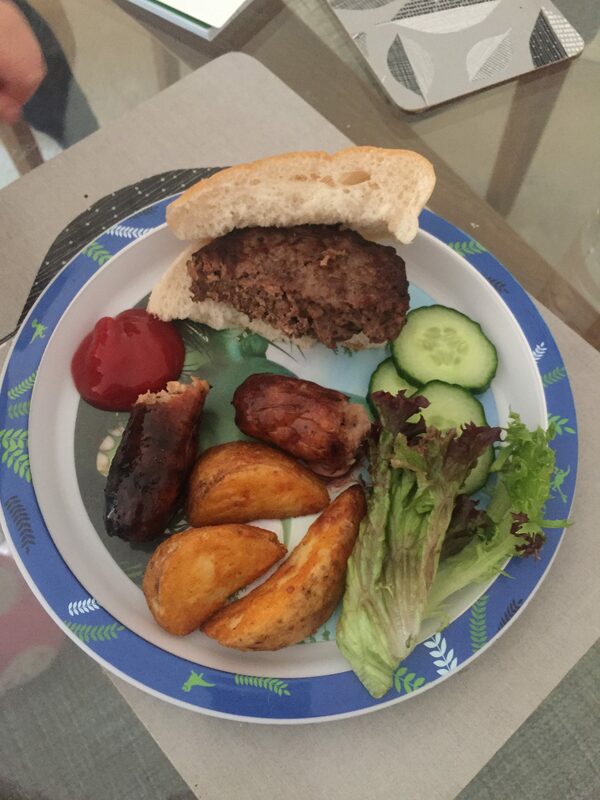 When we returned home we had a BBQ at little one’s uncle’s house. This is always a hit with little one! 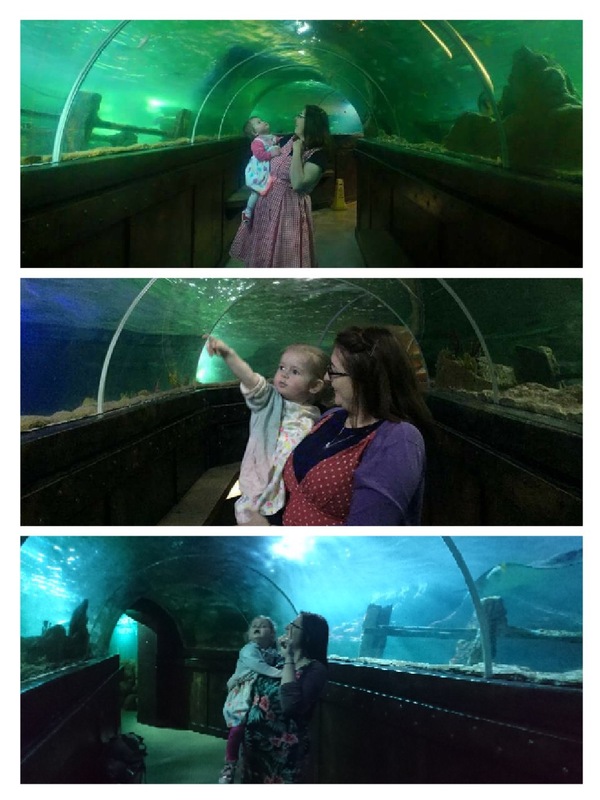 On little one’s actual birthday we popped down to Brighton to visit the Sealife Centre. This has turned into a bit of a tradition as we have visited on little one’s birthday every year so far. It is a lovely way to spend the day and reflect on how much she has grown each year. We all get something different and more out of it every time we visit. By using our Tesco Clubcard vouchers, it also works out as an inexpensive day out. 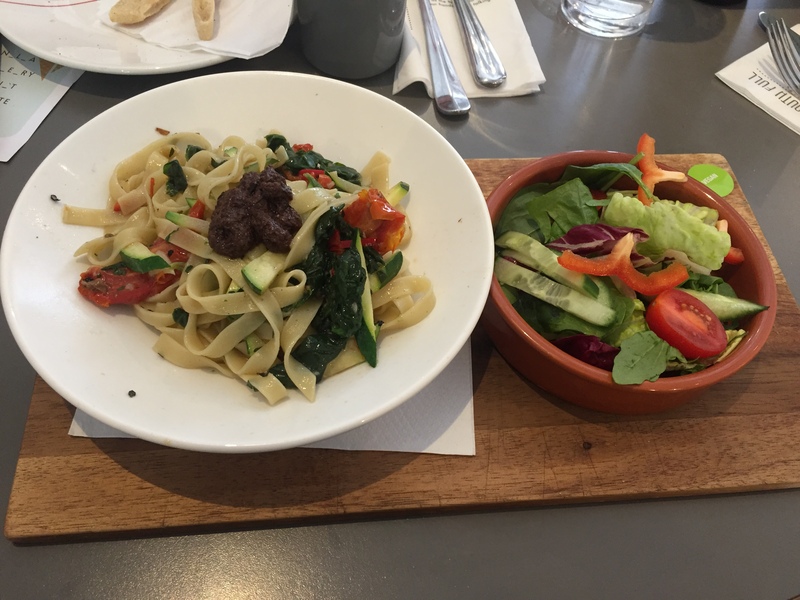 For lunch we visited ASK Italian which I know has a great vegan menu, that is also soya free. Little one had bread and veggie sticks for a starter and a margherita style pizza for main. I also selected from the vegan menu so that little one could try my food too. 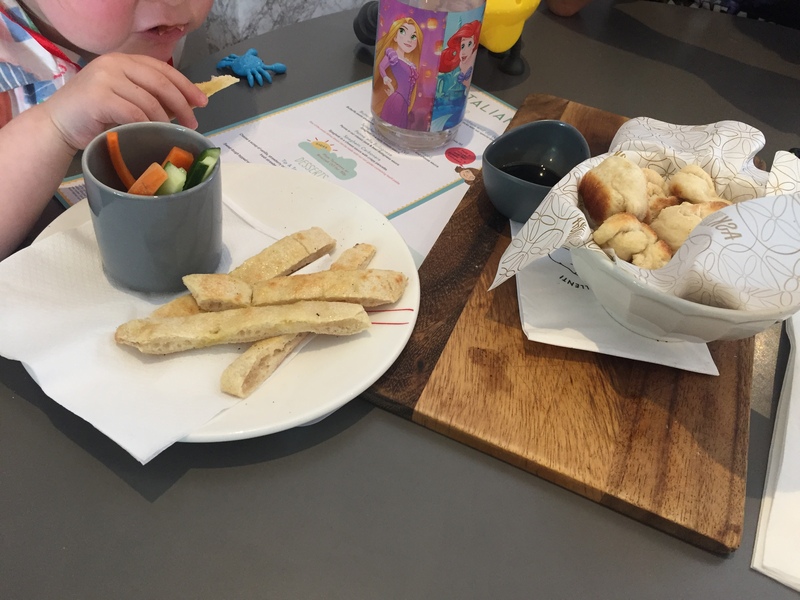 We shared vegan Baked Dough Balls with a balsamic vinegar dip to start. For mains, vegan Fettuccine con Verdure (Flat ribbon pasta with courgettes, oven-roasted tomatoes and spinach, seasoned with chilli and garlic, and topped with olive tapenade). 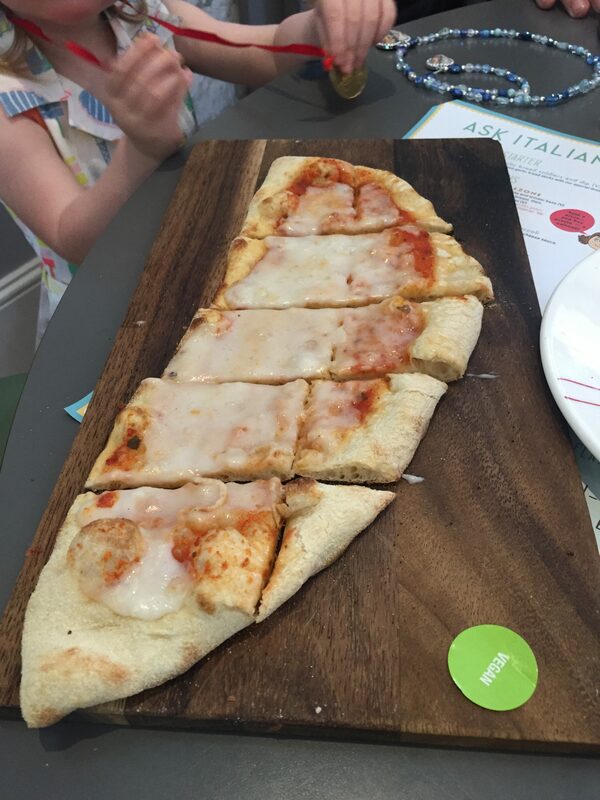 We really enjoyed our meal, although little one still isn’t sure about pizza! I cheated a little when making a cake for little one’s actual birthday. With a small party planned for the day after, which included a birthday cake, I didn’t really want to make two cakes. Tesco’s FreeFrom chocolate cake mix made yummy cupcakes which little one really enjoyed. Especially when topped with sprinkles! 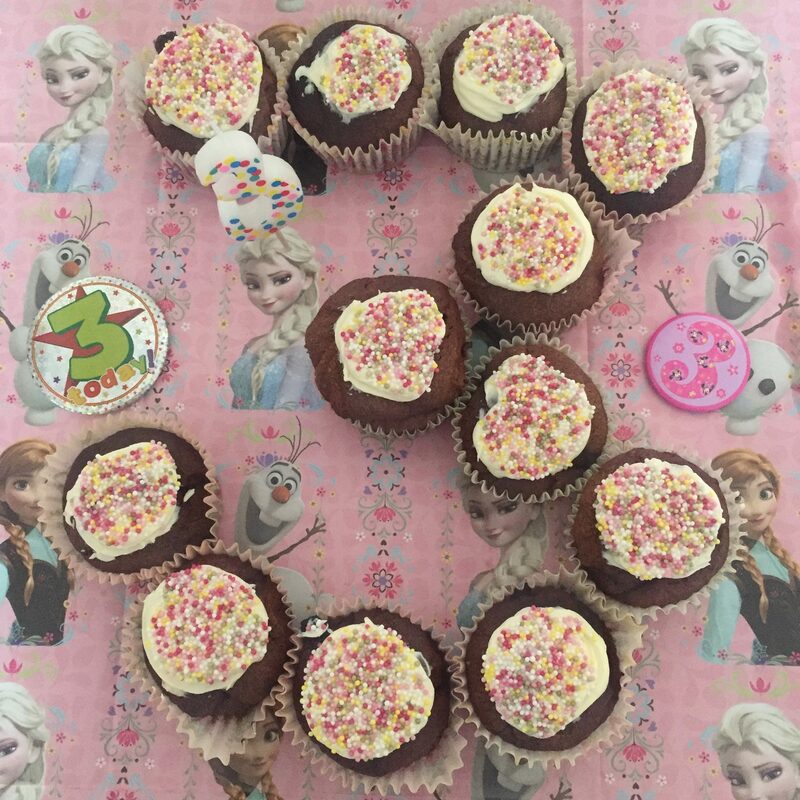 If you’ve followed mummybakesdairyfree for a while then you might have come across my post last year about little one’s second birthday – A Dairy Free Party. 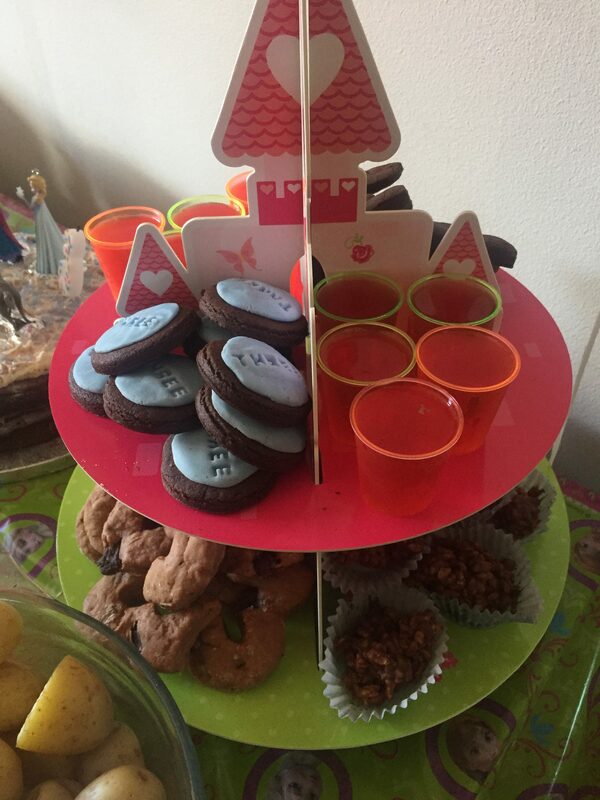 I revisited this post when planning little one’s third birthday party and pretty much used it as a shopping list. Well, why make more work for yourself?! I did make some changes and additions. Little one loves pasta, chicken, and potatoes. So as well as sandwiches, I made a tuna and sweetcorn pasta salad, cooked chicken drumsticks, and served boiled new potatoes. Hummus and veggie sticks always go down well. You can find my hummus recipe here (or buy shop bought like I did!). Plus I added a large bowl of salad in an attempt to balance out the variety of crisps (little one’s favourite snack)! For sweet treats again I took inspiration from last year and served crispy cakes, jelly, avocado chocolate mousse, and chocolate biscuits. I also made double chocolate chip scones, yet another twist on my scone recipe, and used my three shaped cookie cutter! 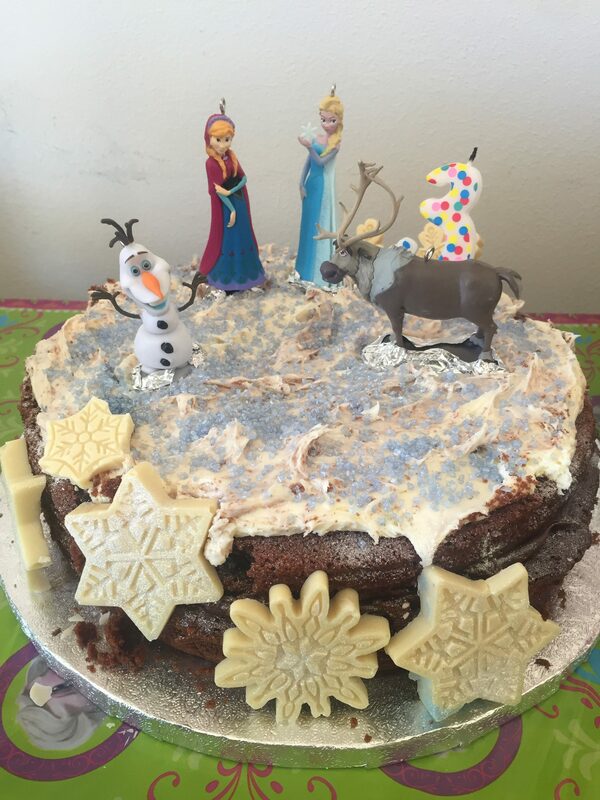 For the cake I used the same recipe as last year and covered it in edible glitter to give it a Frozen look! I took the opportunity to dig out my Christmas chocolate moulds again and make snowflake shaped chocolates. Make sure you read my post to give hints and tips on how to make dairy free chocolate shapes. Whilst the cake was a little rough and ready, everyone said how tasty it was. Perhaps the most exciting thing was that I used dairy free chocolate from Sainsbury’s Deliciously Free From range. It contained soya lecithin. As little one is able to tolerate soya more and more, it definitely broadens our options! So that’s it for another year and whilst I’m sad it’s over, I’m also relieved. Planning and organising a party, even a small one, takes time. I’m hoping that you can find some of this is a helpful starting point. 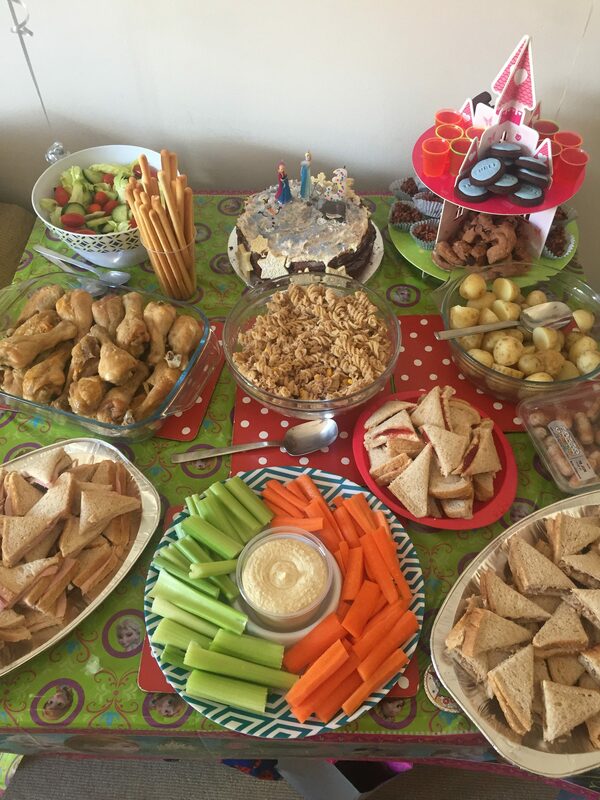 Please feel free to share your top tips for an allergy friendly party.